Sat., June 23, 2018, 5:15 a.m.
A. Phil’s son is a victim of PVC drainpipes. I’ve been a master plumber since age 29 and can tell you that PVC has some advantages, but it comes with some baggage, too. Older homes almost always had cast iron drainage pipes and vertical stacks. The cast iron is dense and it’s very hard to get it to vibrate to create noise. PVC is the opposite. It’s not dense, and the cascading water from a toilet flush vibrates the pipe creating the unpleasant noise. New cast iron pipe is made much better than old cast iron pipe. Plumbers connect one piece to another using rubber seals and large stainless-steel band clamps. It’s easy to adjust and it takes just a little bit more work to install it. You don’t have to do the entire house in cast iron to stop the noise. All the plumber had to do at Phil’s son’s home was to use cast iron for the toilet drainpipe and for the vertical stack in the wall. All the other pipes could have been PVC. 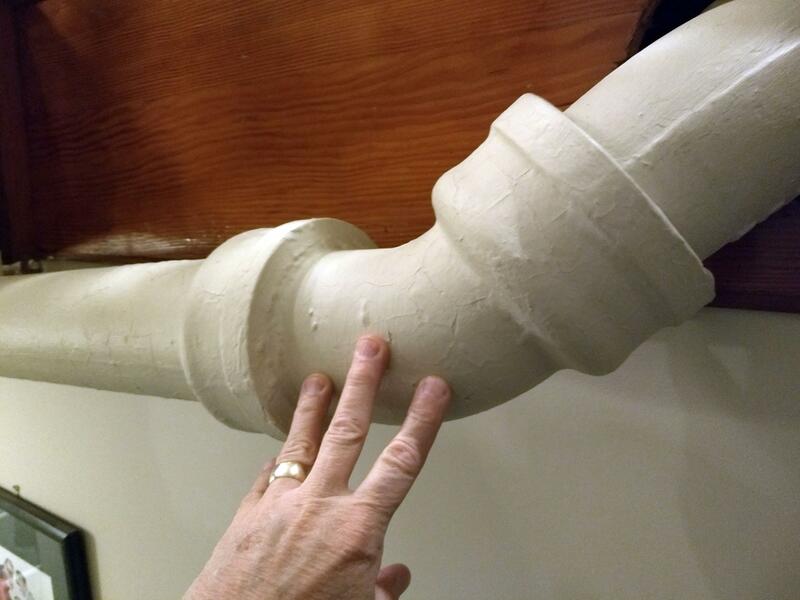 You can try to insulate PVC pipes to stop the noise, but by the time you do that, you could have paid the small extra price for the cast iron pipe. A. I’ve had the same problem at my home. The last home that I built had an asphalt shingle roof and was surrounded by some very large trees. The trees created lots of shade and provided a source of food for the moss and algae that grew in abundance. While moss and algae tend to look good in illustrations in children’s books about fairy tales with cottages in the forest, most people don’t care for it on their own homes. Moss is a small plant. It comes in many forms, but the type I’m familiar with looks like small gobs of medium steel wool, green in color. Algae is a very thin organic coating. It’s often the thickness of a sheet of paper or even thinner. It’s usually green and is extremely slippery when it’s wet. You don’t want to walk on a wet algae-covered roof. I’ve discovered that moss is quite easy to remove. I use a very stiff scrub brush attached to a fiberglass extension pole. I start at the top of the roof and use downward brush strokes to dislodge the moss from the shingles. Never brush upward on the roof. You don’t need water to do the job and it works best when the shingles and moss are very dry. Algae is harder to remove. It requires scrubbing with water, soap and sometimes other cleaners. Liquid dish soap and water will do the job. But this solution makes the roof even more slippery than if you put just water on the algae! Trying to clean algae from a roof is not a job for a DIYer because of the inherent danger of falling. Roof cleaning is best done by a professional. You can slip in an instant even on a low-slope roof. The next thing you’ll know you’ll be at the ER or worse. Once your roof is clean you can stop the growth of moss and algae. You’re going to use time-tested technology that shipbuilders have employed to keep the hulls of their ships smooth so they sail faster across the oceans. They used copper plates because copper is a natural biocide. All you have to do is put a thin strip of copper on the cap shingles that cover the ridges and any hips on your roof. Each time it rains, some copper washes down onto the roof. Published: June 23, 2018, 5:15 a.m.